Every year hubby and I alternate Christmas Day with each of our families. We realised that this is also likely to happen when our son’s have families of their own. So, I came up with the idea, to throw a pre-Christmas shin-dig the first week of December in hopes there’s never an excuse I can’t have my little family together for the festive season. I kick-started the very first Carlson Christmas with a staycation at the five-star, Paris-based brand, Sofitel Wellington. We stayed in Prestige Suite a.k.a the ‘Solar room’ which had an additional interconnecting room for our boys. Checking-in to a luxe hotel, and checking-out of the norm was such a delight. We spent the entire weekend in our rooms enjoying the mod-cons and in-room services while non-adulting in our pyjamas. A wonderful start to our new Christmas ritual. Since becoming a mother I am huge on celebration and tradition. By my own admission, I tend to make a big deal about everything, no occasion is too small. It’s my own special way of showing gratitude for life, I wholeheartedly believe It’s important to honour the journey for simply having happened. 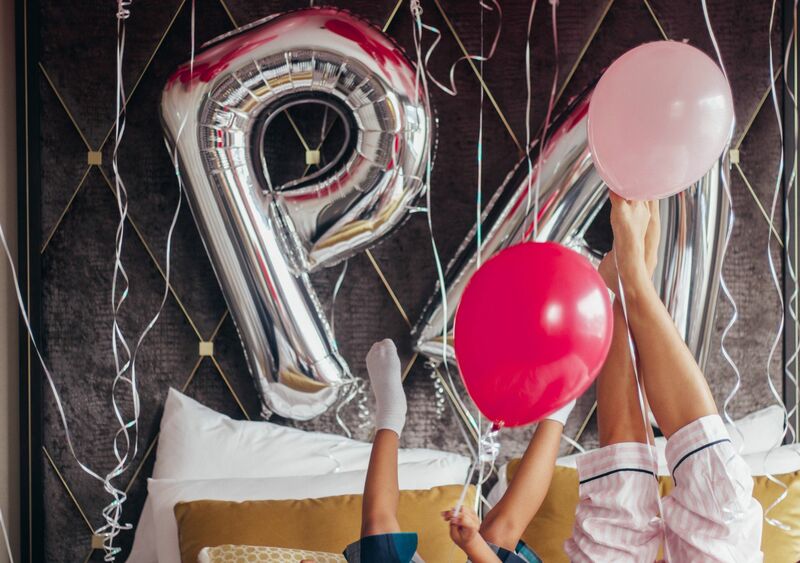 Speaking of celebrations and spending a weekend in pyjamas, the iconic pyjama King Peter Alexander celebrated their 30th anniversary this year. I’ve been sleeping with Peter Alexander for over 10 years, a love affair my husband doesn’t mind, in fact he shops there for me every Mother’s Day without fail. Peter Alexander is always the first destination for my Christmas shopping, there’s something for the entire family. Since my eldest son RL was born it’s become a time-honoured tradition to pick my boys up a pair of pyjamas each Christmas and this year I even treated myself to a pair of slippers and a gorgeous Christmas pudding candle. Celebrating Peter Alexander’s 30th anniversary and our very first Carlson Christmas naturally calls for balloons, pink balloons of course! Since I am arguably the biggest Peter Alexander fan I know, I thought I am well within my means to share with you a bit of gift-inspo. I am predicting the The nostalgic Hairy Maclary collection will be a hit! Featuring a delicate colour palette and the sweetest story-book-like illustrations. Harry Potter fanatics are buzzing, the range is back, get in-quick I predict merch won’t last long! The new luxury Bath + Body products will make perfect little Secret Santa gifts and last but not least, you may have seen the Paw Justice Charity Chocolates sold in-store? Well, 100% of the proceeds go to Paw Justice, a charity aimed at reducing animal abuse and cruelty. Chocolate is always a good idea and makes a great stocking-filler. All of the above and then some, available in-store or shop online. What would silly-season be without an X-mas giveaway! I mean… We are celebrating here right? I’ve teamed up with Peter Alexander and have one special prize pack for one lucky winner! 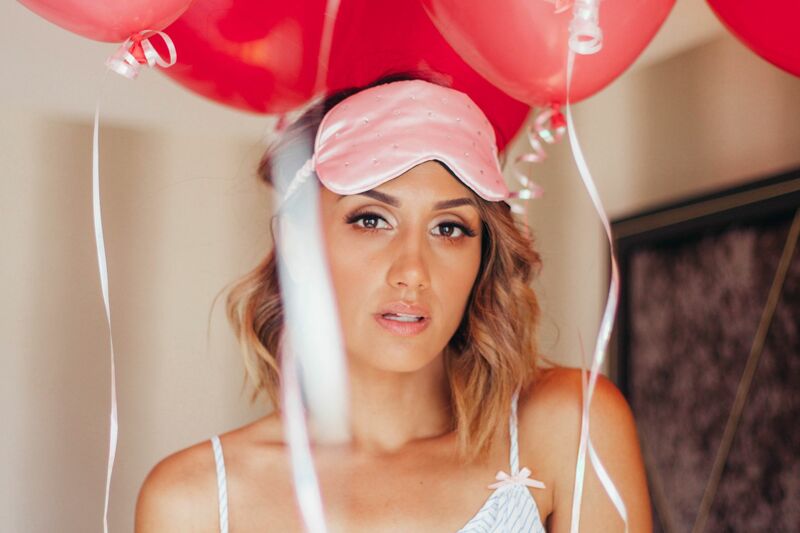 Win BOTH my looks in this post, yup two amazing Peter Alexander sleepwear sets are up for grabs! 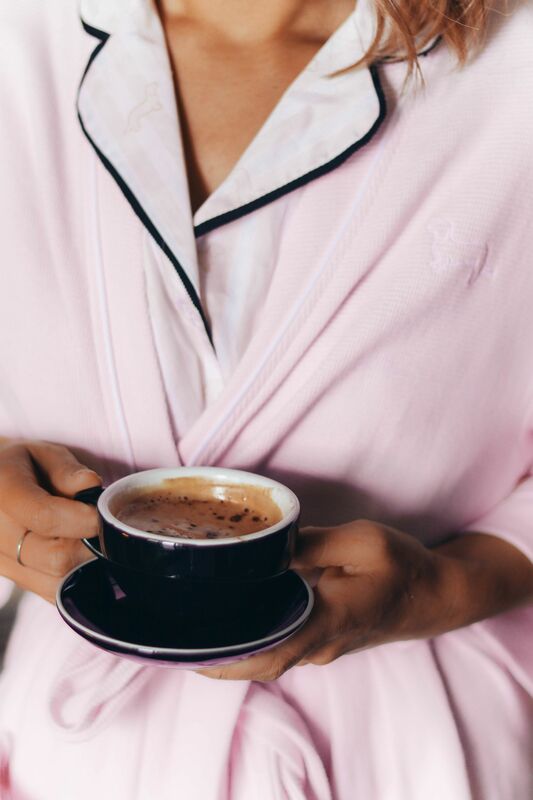 All you have to do is comment which has been your FAVOURITE Peter Alexander sleepwear collection to-date in the comment section below to win! Best of luck my loves and Merry Christmas! Thank you Peter Alexander for sponsoring this post. I did love the Dr Seuss one from earlier this year. But let’s be honest what ones don’t I love from them!! Love the bedtime stories collection and want to go stay at the Sofitel! I don’t know its official name – but I LOVE the sloth collection. I think it’s mostly men’s – but who doesn’t want to sloth about in their sloth PJs?! I may have picked up a pair for hubby for Xmas! Love love love! I don’t have a particular fave, but I have a son and a daughter which is like the best of both worlds and I love it when they’re twinning and when Mumma can match on the odd occasion. But I am partial to a bit (a lot) of animal print, so I’ve bought a lot of animal print PA in my time! Hubby doesn’t wear pjs boo 😉 he’s also not a very good instagram husband, so I’m normally the one snapping my babies in their matching PA! Bedtime Stories Collection, yes please to some pajamas!! 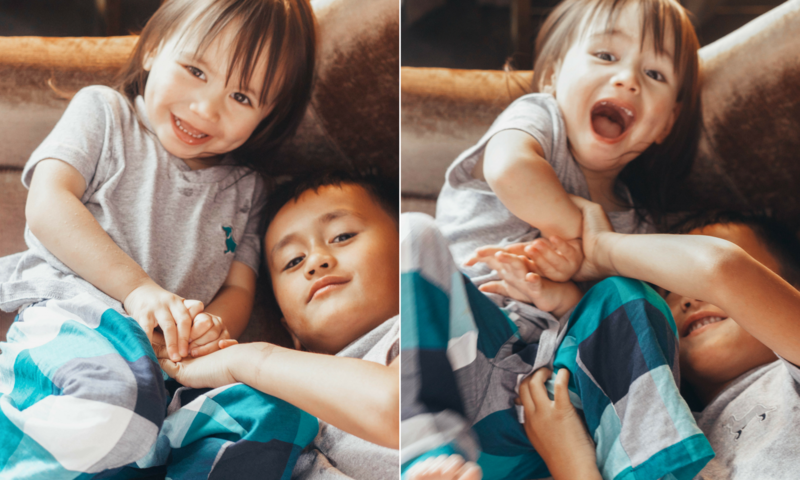 My current fave Peter Alexander Pj’s are the classic Penny Tee in Grey Maple matched with Pj pants covered in the classic dachshund – would love to win some more sets as I love snoozing and relaxing in my Peter Alexander Pj’s! Bedtime stories collection and I think I need to go to the Sofitel too! So hard to choose! Love the look of hairy mclairy! The sleep tees are amazing… was so comfy during my pregnancy. The Lion King collection they did was so cute! Love these photos by the way they are so gorgeous! I love the “Luxe Oh that’s Posh silk Pj set” which I own and LOVE. I also adore the Harry Potter collection, yes, I’m a HP nerd. I’m a self confessed Harry Potter fanatic, so it goes with out saying that I couldn’t help but splash out and treat myself to the most recent PA X Harry Potter collection. Also lusting over the current Breakfast at Tiffany’s pieces! I love the Christmas collection!! Love PA!! Love following you on insta too girl! Their Christmas collection is always on point!! Makes the festive season super fun. There was one a couple of years ago that was bear themed! Loved that one. All their stuff is so lovely and comfy and the stores always smell so amazing! My favorite Peter Alexander pyjamas are my cat pj pants which my partner has named “smart cat pjs” (the cat is wearing glasses) I also got my daughter a cat PJ set from PA too (when she was 3 months old!) I don’t know if either were part of a collection as such but it was super cool to be matching! They are the comfiest pyjamas I’ve ever owned. I loved the cat collection!! And the Wizard of Oz ones were cute too ❤️ PA pjs. All time favourite, if I absolutely had to pick, would be the wizard of oz collection. So cute and so classic. But then PA comes out with something new every season and I fall in love with that too! Loved the lion king one and the Audrey Hepburn series too. I’ve only ever had kmart/postie pjs, So I’ve got no idea where to even begin! It all looks glorious and now I’m adding it to my mother’s day wish list!